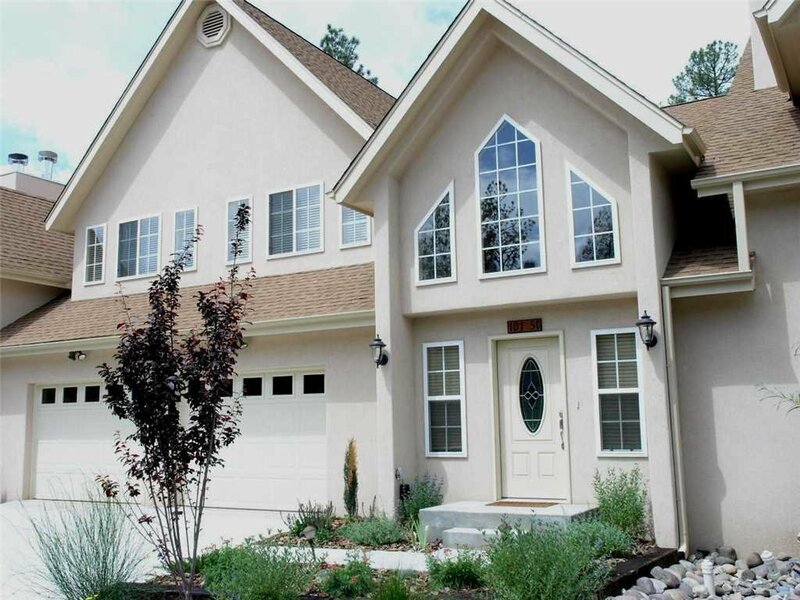 Located just north of the Links Golf Course, Ruidoso Retreat gives you easy access to the course and walking paths around it. 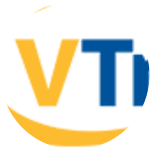 You’re also not too far from downtown Ruidoso where you can dine out and enjoy live entertainment. 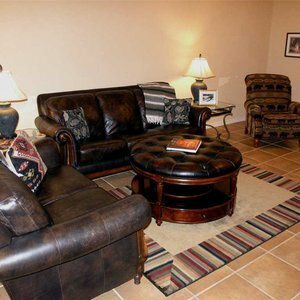 Ruidoso Retreat is a great condo where up to six friends or family can settle in for a fun mountain vacation. 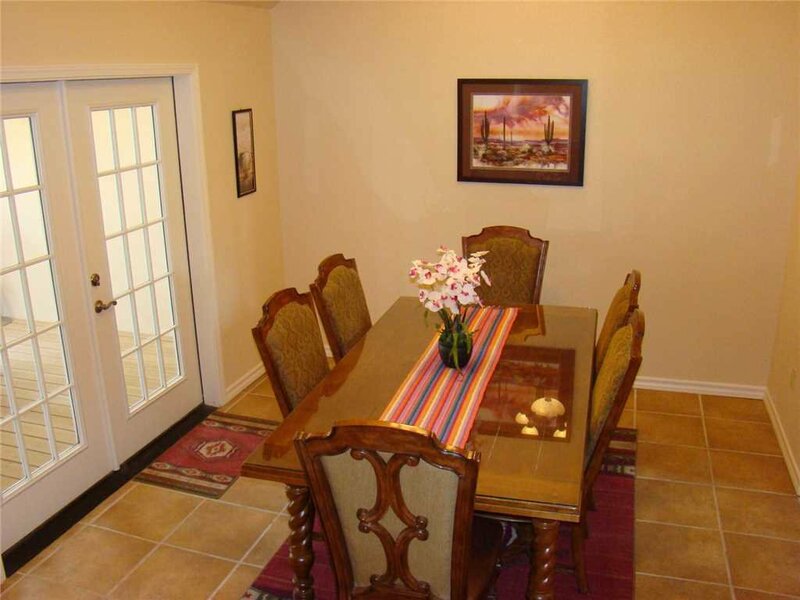 Ruidoso Retreat is an attractive air-conditioned condo with a one-car garage. It’s nice to be able to keep your car out of the elements. Walk across the front threshold into an open living space with vaulted ceilings, a gas fireplace, and plenty of comfortable furniture. This seating is where you and your group can settle in to watch a movie on the DVD player or take in a favorite TV show on your cable TV. 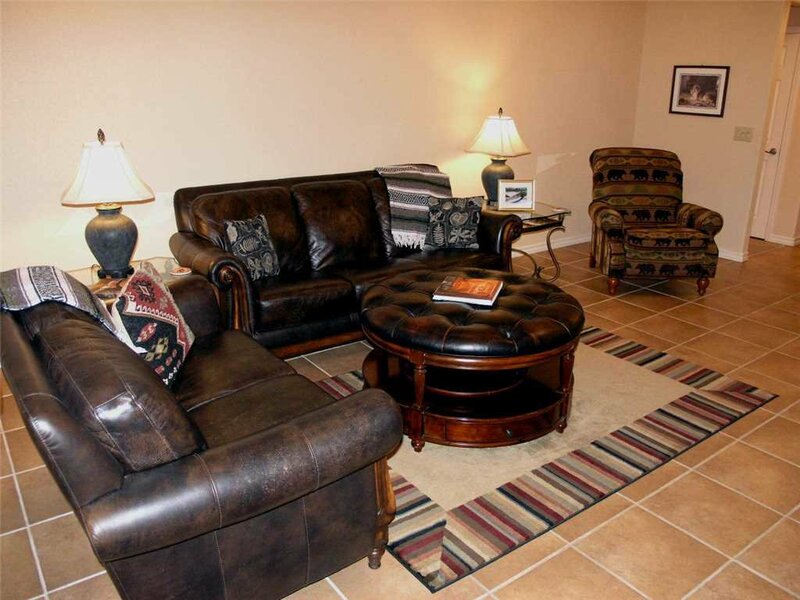 Ruidoso Retreat also has free Wi-Fi so you can stay in touch with friends back home. 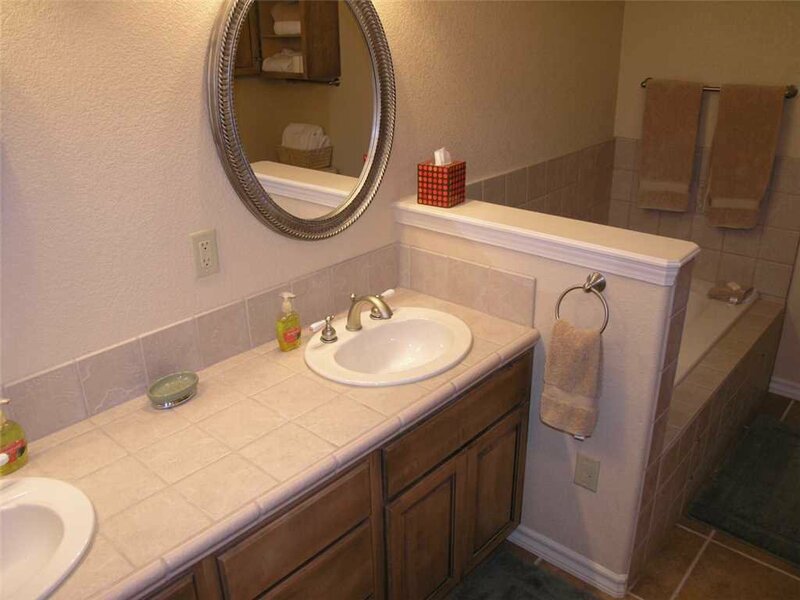 You’ll love the subtle Southwestern décor touches and tile floors within Ruidoso Retreat. The dining room is just beyond the living room where you’ll find a table and chairs to seat six. You also have a breakfast bar if you need additional seating. Through the dining room’s French doors you have a view of your private deck, which is another great place to serve your group. Gather everyone around the deck’s table for a hearty meal in the great outdoors. Food just seems to taste even better in the mountain air. Your Ruidoso Retreat kitchen is open to the main living area, which allows the chef to also be a part of the fun in the rest of the house. 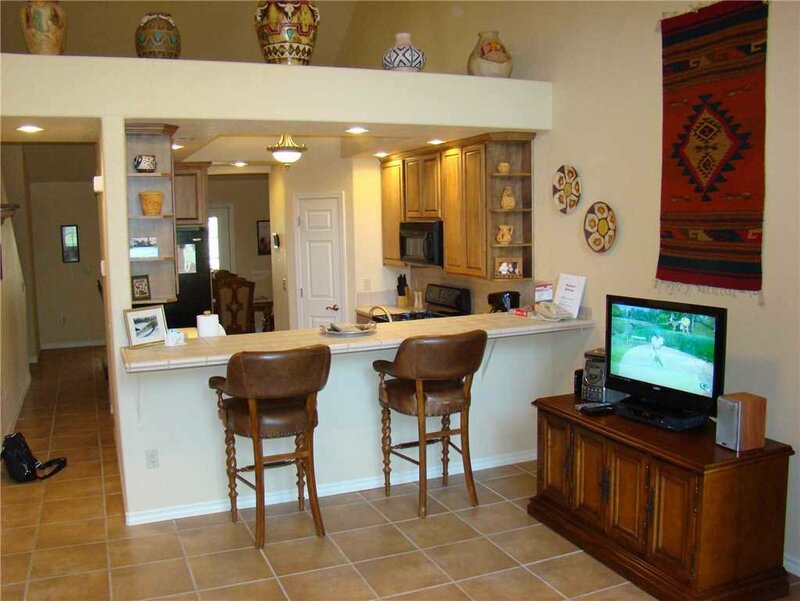 You’ll love your Ruidoso Retreat kitchen. Not only do you have expansive prep counters, but you also have a full complement of appliances, cookware, serving ware, and utensils at your disposal. You’ll enjoy cooking on a gas stove, which many good chefs prefer. 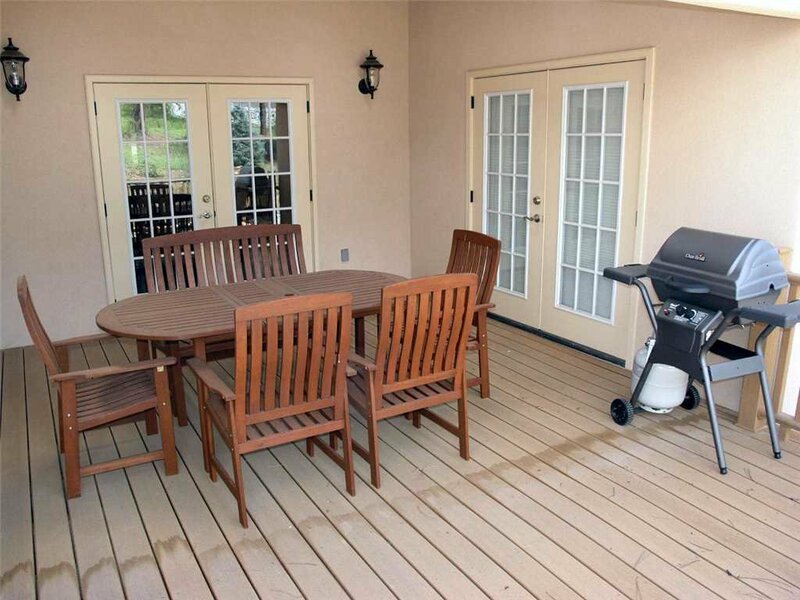 There’s also a gas grill out on the deck where you can prepare steaks, burgers, or fish for your vacation party. Between golf, hiking in the mountains, fishing, and shopping, you’ll probably be quite tired by the end of the day, but it’s a good tired, the kind that comes from doing things you enjoy with people who are close. After you’ve watched the last shred of light slip behind the mountains, your thoughts will turn to winding down and heading for bed. 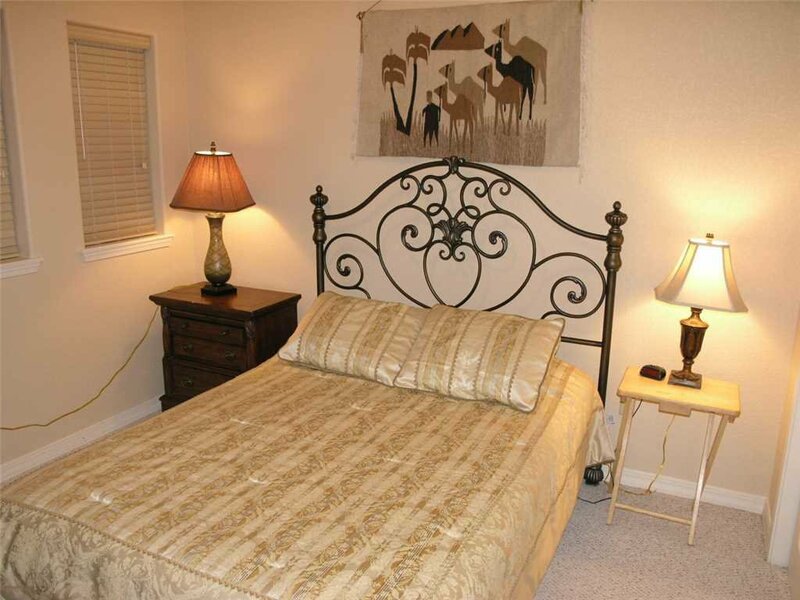 Your master bedroom is a cozy retreat and private respite where you can truly relax. Climb into your king-sized bed. It feels so good. You have a private TV that’s perfectly situated for late night viewing and handy bedside reading lamps for your convenience. Before you know it, you’ll be headed off to dreamland. When the first rays of sunshine peek through your window, you’ll be ready to shuffle into the shower to get the day started. The master en suite has both a tub and a shower along with a dual sink vanity with plenty of storage. Before you know it, you’ll be ready to grab a cup of coffee and head out to the deck to enjoy the mountains. 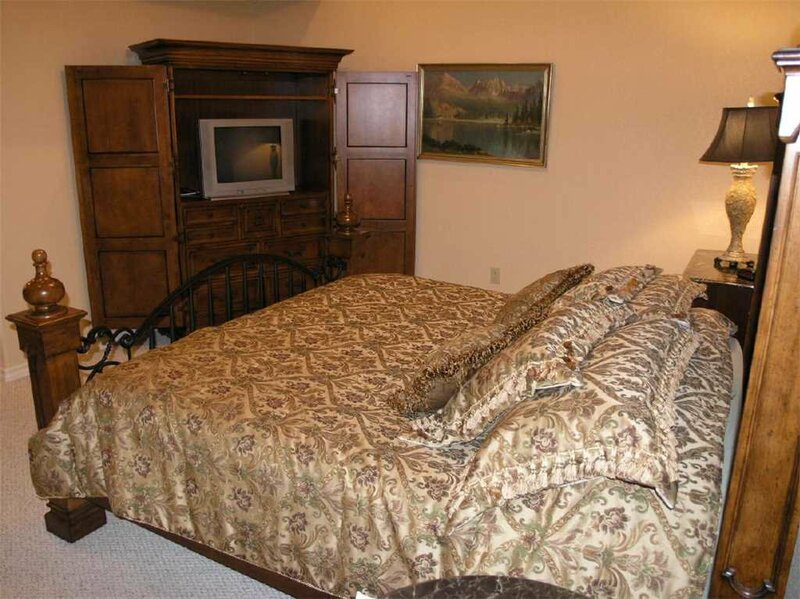 The second bedroom offers a queen-sized bed with reading lamps, TV, and ceiling fan. 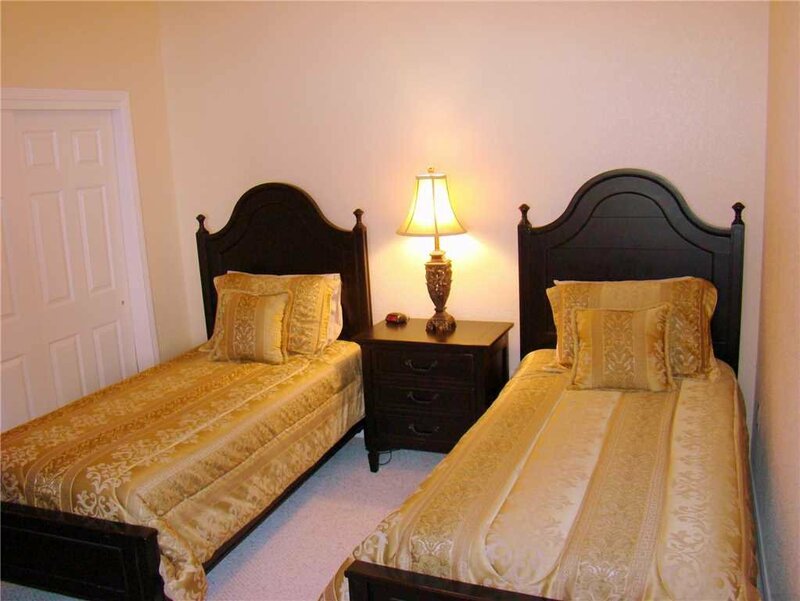 The third bedroom includes two twin-sized beds that are perfect for any children traveling with you to Ruidoso Retreat. 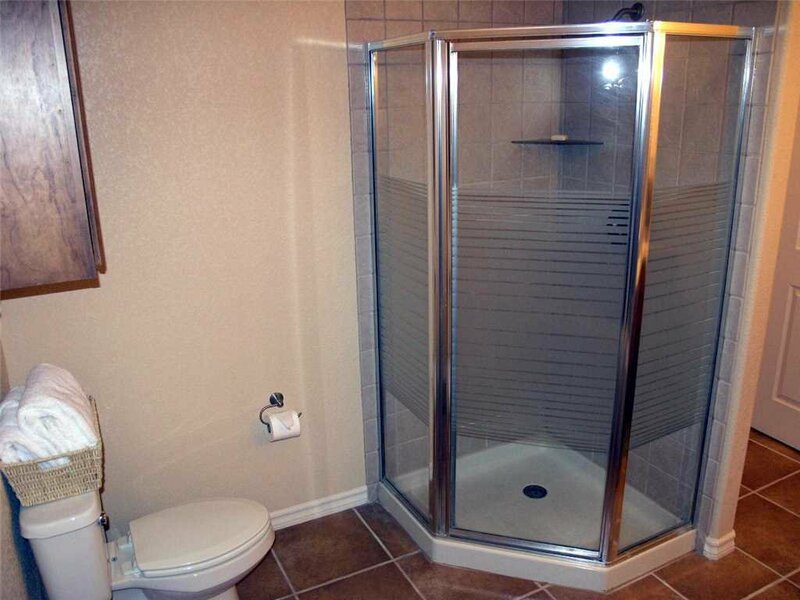 All three bedrooms have large closets, ceiling fans, and their own private bathrooms. Everything seems to go better in the morning when there’s no waiting around for a turn in the shower. Another advantage of staying at Ruidoso Retreat is the laundry. 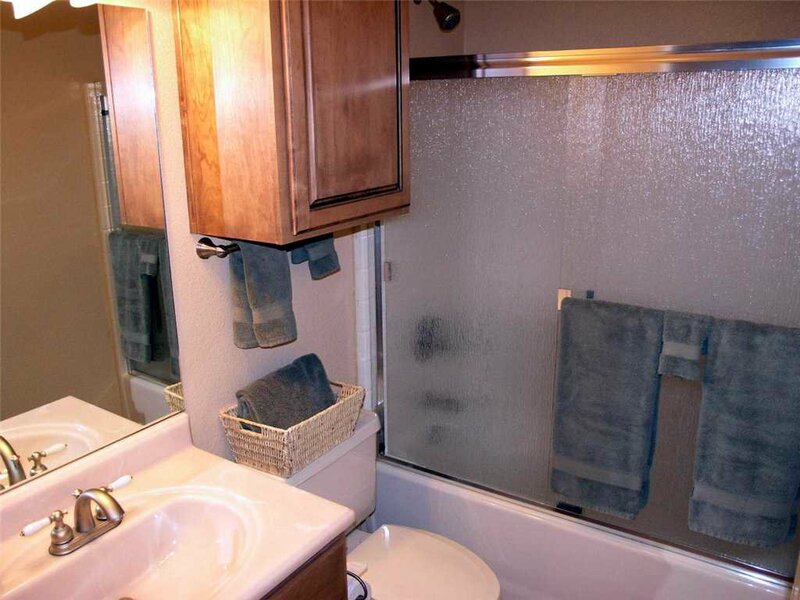 You have a washer and dryer right within the condo so it’s easy to keep everyone in clean clothes. Plan now to vacation at Ruidoso Retreat in the beautiful New Mexico mountains. Good times and great adventures will commence as soon as you arrive. Please remember that Ruidoso is a mountain town with snow and icy conditions during the winter. This can affect driving and parking conditions regardless of the property, driveway, or roads.